Friends, are you like me and am horrible at getting people’s gifts on time? I’ve been with H for over 6 years now and I’m pretty sure I’ve never really gotten him something really day of the gift giving event. Maybe once or twice but more often than usual, I give him something after the date has passed. To be fair he never gives me gifts on time either. Anyways, if you know me, you know every year I kind of lose my mind over the One of a Kind show because I love supporting local businesses. 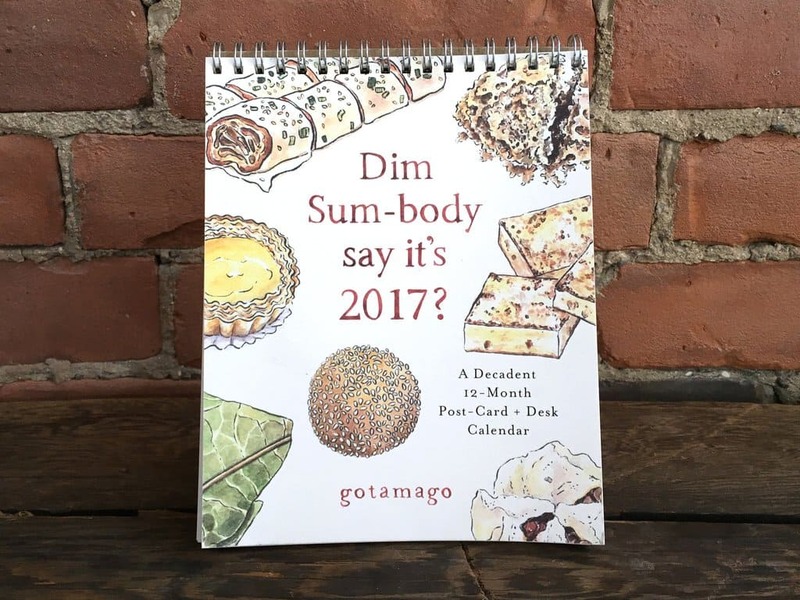 So this year, I’m putting together a gift guide for those who are local to me (Toronto! Hello!). AKA This is stuff you can run out and grab or purchase quickly if you still need to get your loved one a gift or two. I love Queenie! She is absolutely one of the best people I’ve met and she has the cutest product. Her punny puns will make you saw awww! If you guys don’t think Queenie’s puns are punny, I’m not sure if we can be friends we need to talk. Okay friends, don’t judge me ??? My original plan was to go trail running then stop by @go.tamago’s studio opening on the way back and maybe buy one item. What happened instead was I slept in, missed my run, went to @go.tamago’s opening and left with washi tape and these cute cat ceramic items from @leoraisrael ??? HOW DID THAT HAPPEN? Well, this means I’m off to the gym tonight to make up for my missed run ? hope everyone’s having a great Saturday! Another alternative is to book a cute little high tea session at the Shangri-La hotel! This works best if you actually forgot a gift so you can always write them a card and let them know that you made a reservation for high tea 😉 No photo yet but Vicky and I are going to be heading there in January! H’s family loves wine (I usually bring back wine from my trips!) so one of the things that I think is a genius idea to get the wine lovers in your life a wine club membership! I like the one at Sandbanks where you get hand selected wines sent to your home 4 times per year (or 6 if you get a gold membership). 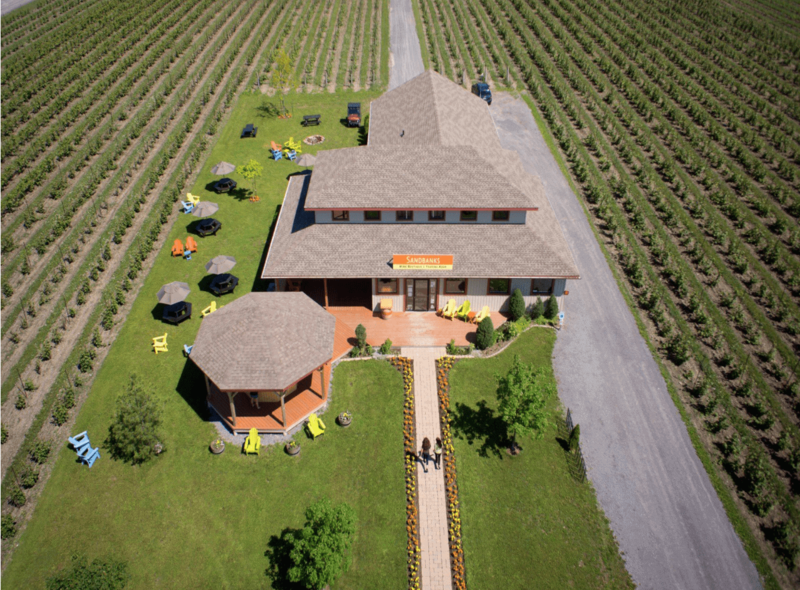 You also get complimentary tastings of 5 wines (up to 6 people) each visit to the winery with the membership. Pretty good for $295/$439 a year. Instead of getting 2-4 pairs of leggings for myself, I can get them a gift that keeps on giving throughout the year! Got someone in your life who loves to cook or wants to learn to cook? Get them a cooking class certificate! I found that Dish has a couple’s night where you and other couples can all cook together! You get a free welcome drink before starting to cook a 4-course meal (and then you get to eat it together!). I’d love to go with my girlfriend (sorry H) and I just love the concept of it as a girls night/date night! QOTD: What are your last minute gift ideas? Do you like gifting experiences or physical things? BONUS: stay tuned for a surprise giveaway on Instagram from one of the above on Wednesday December 21! Hint, wine lovers you’ll love it! Such fun ideas! We did a lot of christmas shopping this weekend at some great local spots! Eeeep, I want everything by Queenie! All of these little things are way too cute. Am I the only one who occasionally wants to keep a gift to herself because it’s so awesome?! Gifting experience is a wonderful idea because it’s something to look back on together and maybe even learn more about the other [depending on what the experience is]. Cooking classes are a great idea! I personally would love that as a gift! Love avocados but I’d be all over the wine club! We belong to one and I love getting getting it every couple months since it reminds me of our trip to Napa. I have to decide if we will keep it (had it for 5 years) or go with a new one when we go back next March. My girls would love the cat jewelry dish. The cooking classes gift is a great idea! !and such a fun way to spend time with your special someone too!! Oh my gosh! All of these are the cutest. Love them all! Want them all. I love a good punny pun! Funny cards definitely the best. 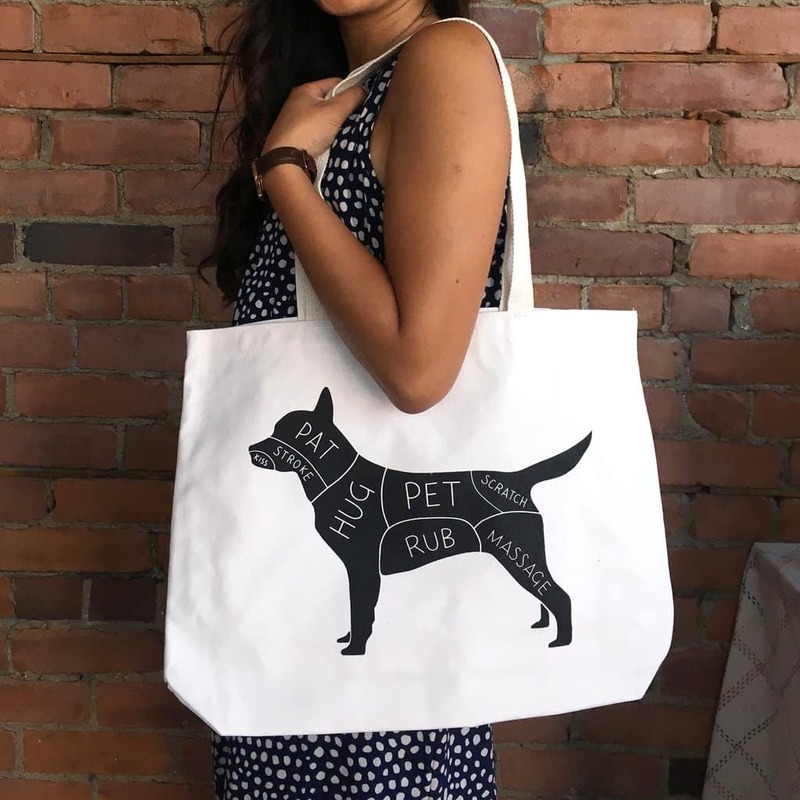 I also love that dog bag – wayyy to cute. These may be local ideas but cooking classes can always be a fun idea. Especially if it’s a couples class! that water bottle is too adorable. Experiences are so much fun to give! But sometimes, a well thought out gift goes miles in terms of meaning. These are such cute Christmas ideas! 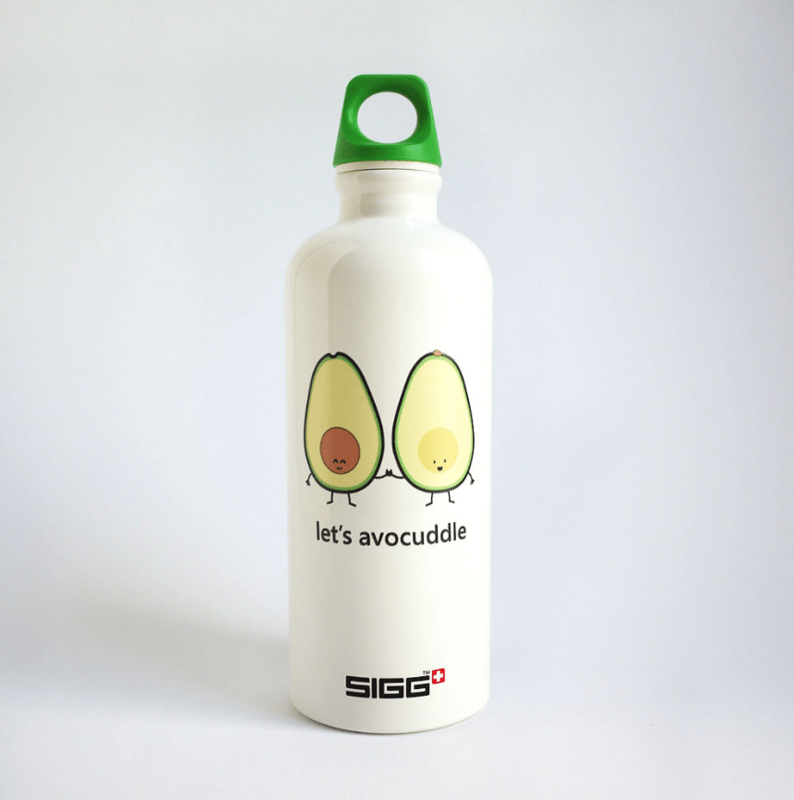 I love the Avocuddle water bottle!! 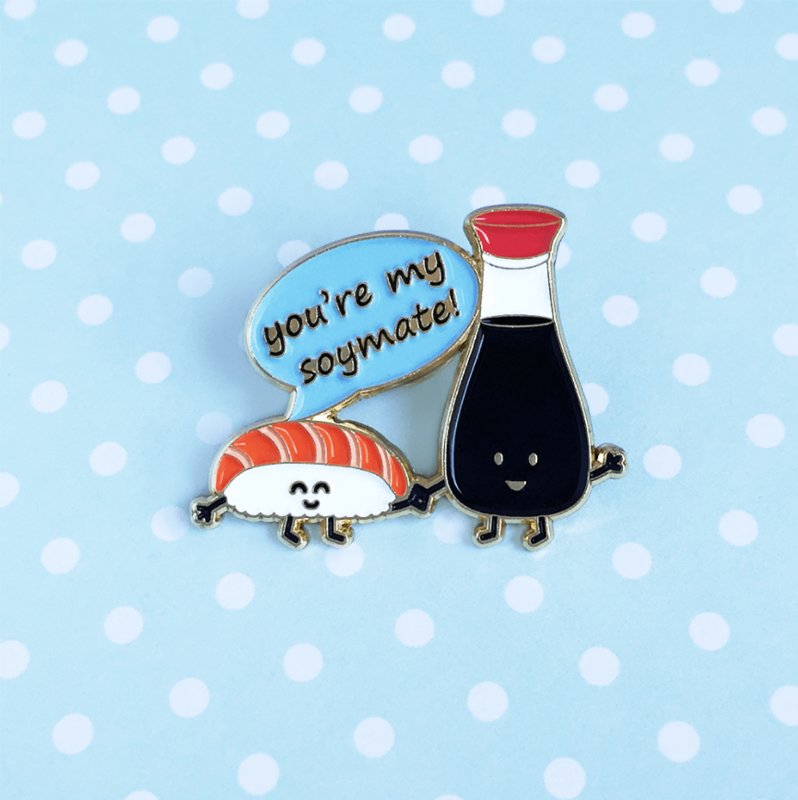 OMG that ‘soymate’ pin is SO CUTE. I need it. Great ideas!! !